Whenever I visit IKEA, I always hit up the food section. Not the restaurant, but the little grocery store. They have loads of chocolates and candies, beverages and other delicious treasures. I never know what I’ll find! This time I brought home a bottle of lingonberry syrup. I love lingonberry jam, so I figured I’d like the syrup too. Lingonberries grow wild in many ancient forests throughout the Northern hemisphere. The berries’ bright flavor is a staple in Scandinavian cuisine. They are brilliant red in color and a bit tart in taste. 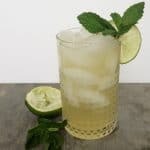 The Dala Horse cocktail puts a Swedish spin on a Moscow Mule. 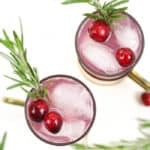 The lingonberry syrup adds a sweet-tart flavor to the classic mule recipe. 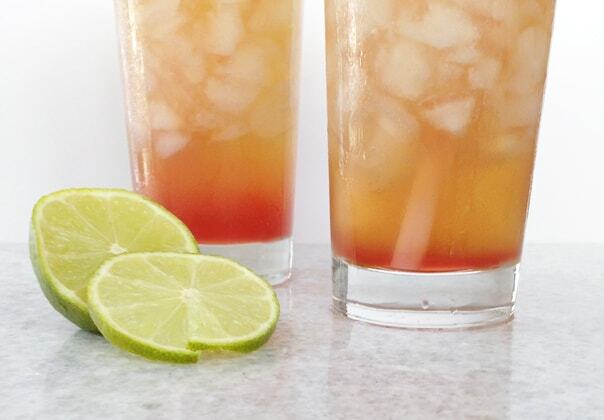 Mixed together with ginger beer, lime and vodka, this full-bodied cocktail is both smooth and refreshing. Click below to see the Dala Horse recipe! A Swedish spin on the Moscow Mule classic, the Dala Horse is a lingonberry mule cocktail that’s both bright and refreshing. Pour lingonberry syrup into the bottom of the glass. 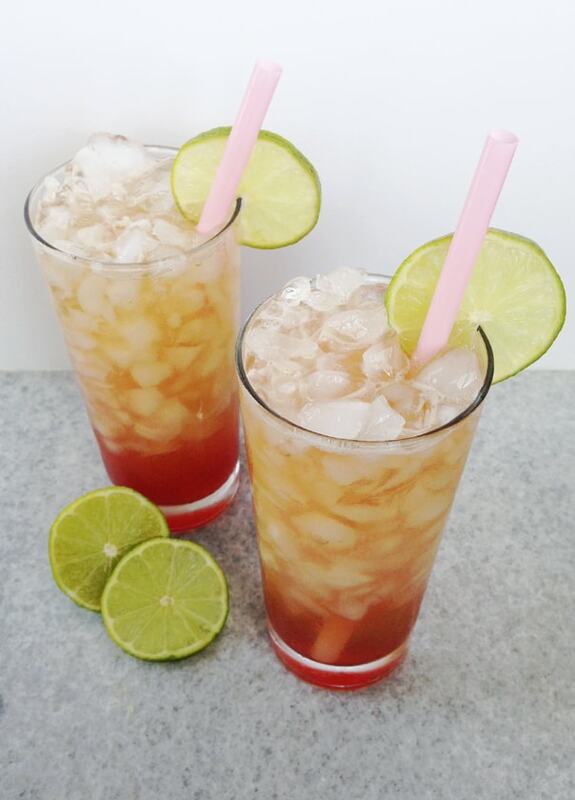 Stir in lime juice and vodka. 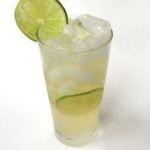 Fill a Collins glass or a mule mug with crushed ice, then slowly pour in the ginger beer. 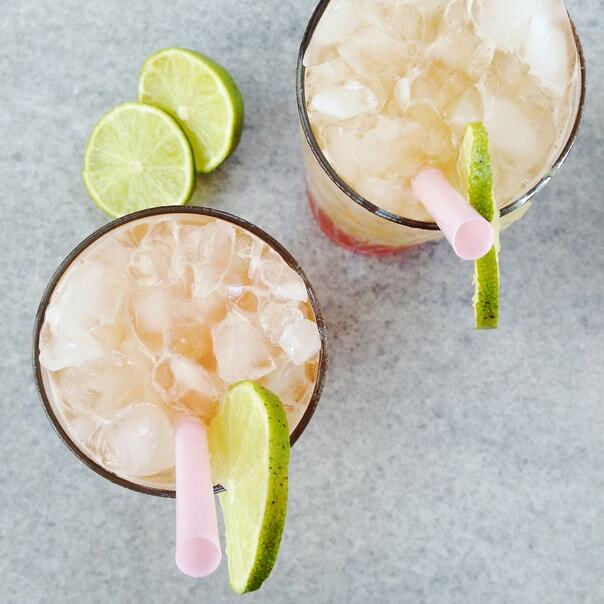 Garnish with a lime slice, if desired. Serve, stirring gently before drinking. If you can’t find the syrup, substitute your own syrup made from lingonberry jam or another flavor of tart jam such as cranberry or blackberry. On the stove over medium heat, bring to a boil ½ cup water and ½ cup granulated sugar. Lower heat and stir in ½ cup jam. Stir for two minutes. Remove from heat. Allow to cool completely. Strain out any chunks through a sieve before using. Store in a jar or other airtight container for up to 1 month. Ooh! 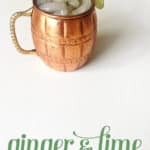 I love Moscow Mules, so this sounds so delicious. 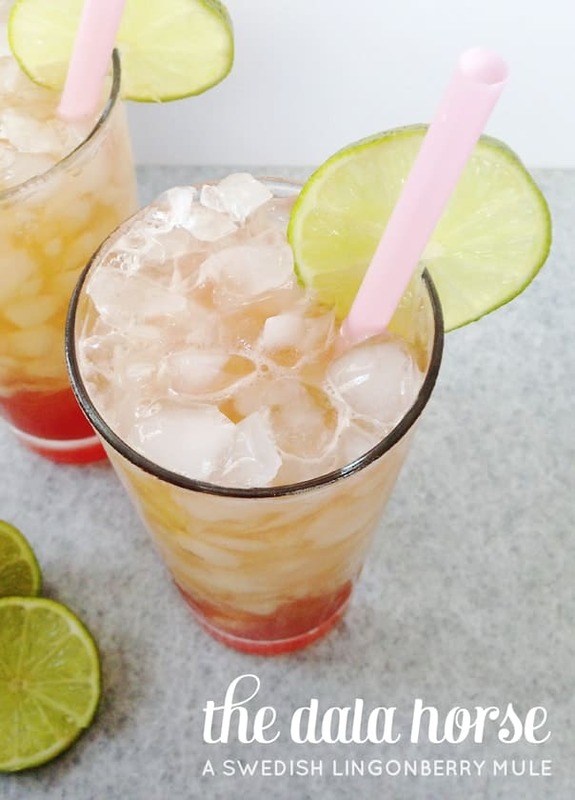 Thanks for all of the wonderful cocktail ideas. Also, I need to plan a weekend to visit Charlotte, so I can get some IKEA goodies! 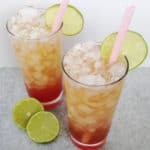 On my last visit to IKEA I picked up the rhubarb syrup, and have been enjoying it with some vodka, lime juice and seltzer. Delicious! Oh, that sounds fabulous, Angie! This was my first time trying any of IKEA’s syrups, so I’ll have to branch out next time. I love rhubarb!